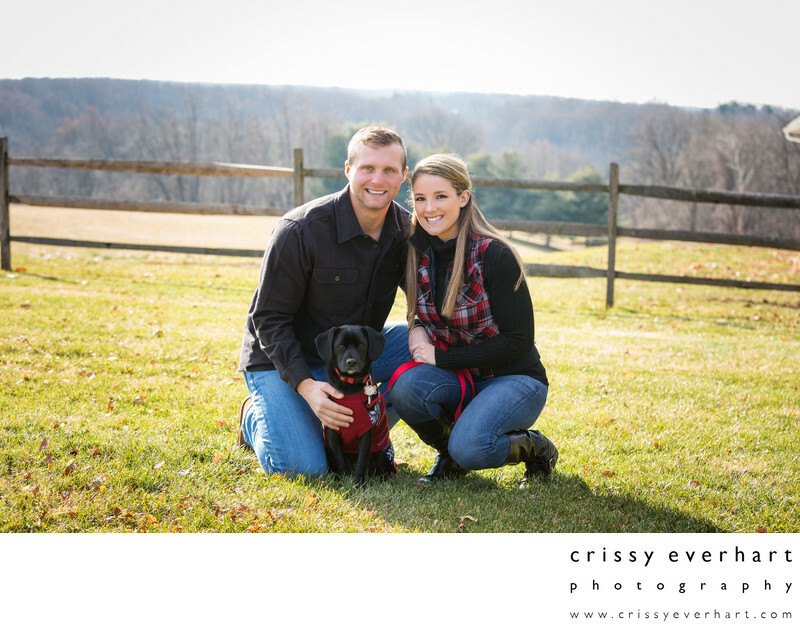 This couple wanted some images together before the husband went overseas for work, and wanted to include their cute little puppy! The dog was so good, and posed for photos like a pro. We took the pictures on their family's property, with rolling hills and farmland, to have a more personal location for the portrait session.